New York City flipped over the cronut – a sweet cross between a croissant and a donut created by pastry chef Dominique Ansel. But the Big Apple isn’t the only city that that has a signature sweet. (Or a series of signature sweets ; we remember when people in New York waited around the block for cupcakes, too.) Here’s a look at some other tasty treats that are satiating sweet tooths around the world. If you’re looking for a more traditional Australian treat, keep an eye out for lamingtons. The spongy yellow cake covered in coconut and chocolate is available at most bakeries and cafes. 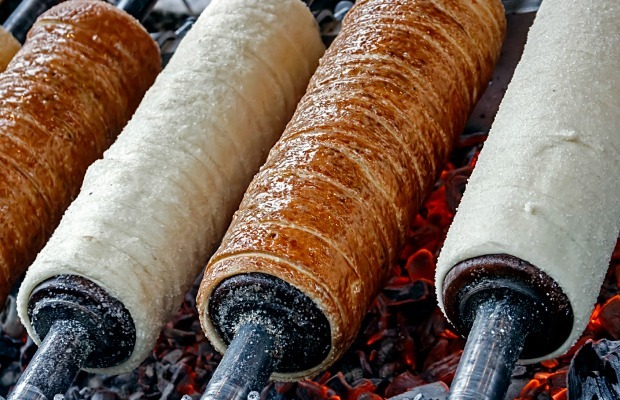 When buying kürtöskalács in Hungary, you can point to one without having to pronounce it. Also known as chimney bread, I first saw it in a Christmas market in Budapest. It’s a column of sweet, light dough that’s hollow in the center. It’s cooked over an open flame, then rolled in the flavoring of your choice. It goes well with chilly days and mulled wine, but you don’t have to wait until Christmastime now that a bakery has opened in Budapest which serves kürtöskalács year-round. 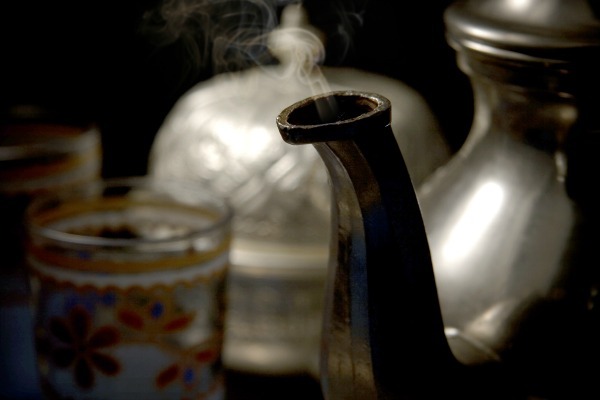 If you are traveling in Morocco, enjoying mint tea is a must. With the tea as its base (and a massive lump of sugar), it is very sweet but refreshing. Check out Les Terrasses De L'Alhambra in Marrakesh or any of the cafes surrounding the famous Place Jemaa el-Fna for a this local favorite and excellent people watching. 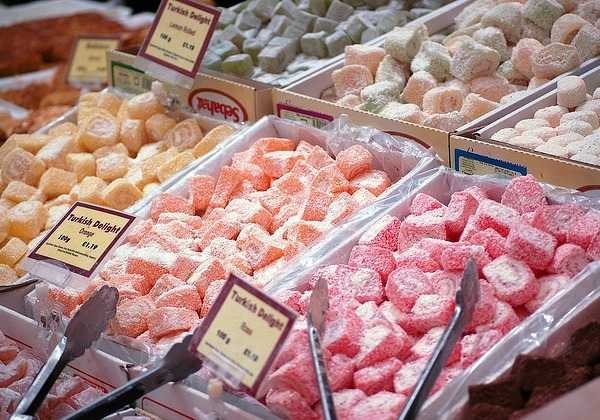 When visiting Turkey, you have to try lokhum (Turkish delight) and lokma (fried dough). In Ankara, the locals rave over the lokhum from İmren Lokumları in Safranbolu (especially the chocolate covered kind). I had my first taste of lokma in the street market in Selçuk. Lokma are small donuts covered in a sticky syrup. You eat them with a tiny fork (lest you get your hands messy). If you are visiting nearby Ephesus and it is market day in Selçuk, follow your nose. You’ll find it quickly. 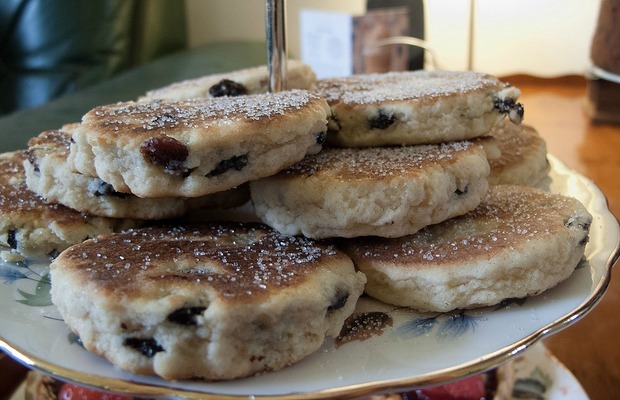 Take a break from sightseeing in Wales with tea and Welsh cakes. With a texture of a scone or a pancake, sweetened with sugar and raisins, it is the perfect tea time snack. Try the one at Cardiff Castle. When strolling through Cardiff’s Victorian shopping arcades, visit the bakery stall in Cardiff’s Central Market for more Welsh cakes and sweets.